Despite being born with a congenital heart condition, Teddy began fundraising for Cancer Research at the age of just three years old by taking part in the Manchester Fun Run. He did this in memory of his aunt and grandmother. 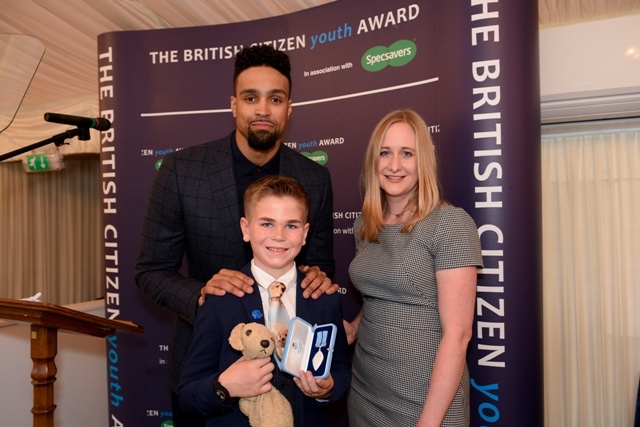 Following emergency open-heart surgery when he was six years old, Teddy started raising funds for Alder Hey Children’s Hospital – the hospital attributed with saving his life. As he was waiting for his surgery in hospital, his television was broken which inspired him to raise money to replace the TV, so no other children would be bored waiting for their operation. Teddy then undertook his first mini-triathlon eight weeks after his open-heart surgery. This encouraged him to continue to raise money for Alder Hey, and also the British Heart Foundation. He wanted to help other sick children and find a cure for his condition of Aortic Stenosis. Teddy, now an Ambassador of Alder Hey Hospital, has completed many fundraising events, including a campaign of taking a picture of your favourite bear #showusyourbear, cake sales, charity fun run, golf day and getting lots of others involved calling them ‘Team Ted’. He has, to date, raised a staggering £85,000. Teddy’s contribution has made a huge difference to Alder Hey Hospital where there are new televisions in all the bedrooms of the hospital. Teddy is a guest speaker at charity events, and his inspiring talks encourage other people to donate, fundraise or raise awareness for the hospital.